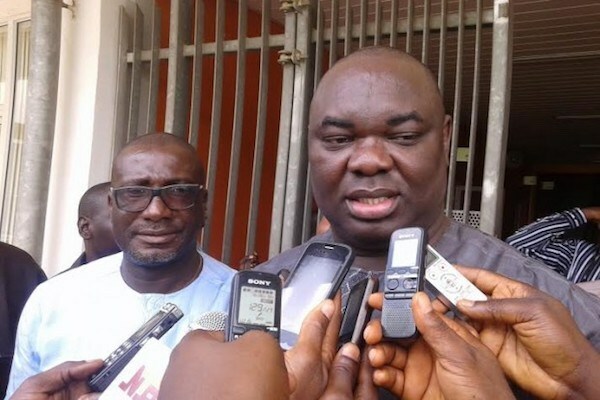 Chris Giwa will not accept the olive branch extended to him after an Extra-Ordinary General congress meeting of the Amaju Pinnick led Nigeria Football Federation, NFF. After the congress meeting in Benin on Thursday, a communique made public informed that the ban on Chris Giwa and his associates will be lifted if he withdraws allpending court cases as well as other conditions given. His club GIWA FC would also be readmitted to the League after they were thrown out in 2016. However, in a swift reaction, Senior Special Adviser to the Chris Giwa NFF presidency on media, Victor Iroele told NigerianFootballer.com that they are not even aware of a congress or resolutions passed. “We are not aware of those resolutions because we are not aware of a congress. Whatever they did there should not worry us because first and foremost, the Federal Ministry of Youth and Sports that supervises the NFF which is a parastatal under it have told them that the congress is an affront on the judiciary and is a contempt attempt even before they went ahead. “The Permanent Secretary of the ministry, Adesola Olusola also warned them so whatever they have done there is still the same impunity that has brought us to where we are today. Remember in 2014, that was also how they defied a court order to hold an election in Warri. “These same persons have also gone ahead to hold a supposed congress in defiance to a court order. “Two days ago they were in court to vacate a court order and when they failed they still went ahead. They had tried to convince the minister to attend but he refused, telling them he is a lawyer and knows these things. Why are they in a hurry,” Iroele asked. From the submission of Victor Iroele, Chris Giwa seems not to recognise what happened in Benin on Thursday. “These are issues we need to face head long and not let it go like that. You cannot not continue to defy court orders then at the same time return to court to seek the orders of the court. It is just simply judicial rascality. Giwa, apparently is not bothered that he may lose what ever public sympathy that may be coming his way if he turns down what looks like an olive branch handed over to him by his adversary, Amaju Pinnick. “You cant build something on nothing. You cant thrive on illegality. It will not work and it is unfortunate but the law does not recognise sentiments. It is sentiments that have brought us here today,” Iroele said.